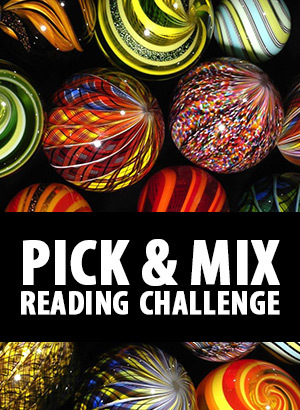 A short story collection of various genres. All of these 18 stories happen, mostly, in taverns or bars. Some stories are fun, others quite serious. This time I liked the funny stories more. Some of the stories are fantasy, some science fiction, and some contemporary or set in the past without any SFF elements, so this collection has a wide variety of genres. “Quest for Beer” by Stefon Mears: As we roleplayers know, many quests and adventures start in taverns. Mysterious men and women, orphans with lockets, people talking in riddles… Tonight, Velec wants to avoid them all and just enjoy one night of peace and quiet and get laid. He’s trying to keep both himself and his three adventuring companions out of trouble. This was a great first story. “Closing the Big Bang” by Michele Laframboise: The Big Bang is the most lavish tavern in existence. It can travel to any place in the galaxy. But some people just aren’t happy with the rich, powerful, and ruthless people who gather in it. “Hero #8” by Ron Collins: McCaffrey’s is a firefighters’ bar. The main character is a firefighter but also a former soldier. When a sniper starts taking out people in front of the tavern, he springs into action, hoping that he can save people. “Girls That Glitter” by Dayle A. Dermatis: The Glitter Room is a famous and popular bar for music and drag queens. The main character has just come out of rehab and she was clinically dead for a few minutes. Thanks to that, she can now see spirits. And it’s a good thing, too, because only she can help the owner of the Glitter Room. “The Kids Keep Coming” by David H. Hendrickson: The nameless bar is only for black teenagers who have very specific past. The nameless barkeep is fated to greet them. “One Last Round at Cozy’s Tavern” by Lisa Silverthorne: Sam is a police detective who used to be good but after years in the service and a divorce has become a drunk. His captain has given him one last job to get his head together: find the captain’s missing dad. Sam starts at Cozy’s Irish Tavern where he meets the strangest barkeep and piano player ever. “Wider Horizons” by Diana Benedict: Emilio has just turned 18 and he wants to go to the local disco gay bar for the first time. Kelly is his best friend, so she goes with him even though she’s unhappy about the bar and about Emilio being gay. Will that change him and their friendship? “Grounds for Dismissal” by Anthea Sharp: Julie Anne Lamont works as a barista at Caffe Profondo. She considers it just a job, but her employers take coffee and customer service far more seriously. “The Next Dance” by Jamie Ferguson: Nelle works in a saloon. She gets men, mostly miners, to dance with her and buy drinks, but nothing more. The girls drink only sugar water. Then she starts to talk with one of the regular gamblers. “Schrodinger’s Bar” by Kim May: Myla (and her semi-wild jungle cat Issan) are from the planet Rannia. She’s now a refugee on Jovian Station and hasn’t eaten in a week. But then the owner of Schrodinger’s Bar gives her an opportunity. “The Gods Are Out Inn” by M. L. Buchman: In the Gods Are Out Inn, the deities, witches, and other immortals can’t hear the prayers and pleadings of the mortals, so more and more of them are coming in. But the goddess Freya has a problem. “The First Ingredient” by Eric Kent Edstrom: Tyler is moderately successful sales man. Recently he realized that he needs a wife and he approaches dating as aggressively as sales. Somehow, that doesn’t seem to work and he wanders into Hamilton’s barn bar. There he meets another salesman. “The Legend of Long-Bow and Short-Staff” by Brenda Carre: a ditty about the Hangover bar. “Freedom Unbound” by Dory Crowe: Only 14, Clementine is an indentured servant at Franklin Turnpike Inn where a magistrate has come to judge cases. He brought the accused as well. While feeding the pigs, Clementine finds a young man at the stable. He’s trying to free his sister but needs help from Clementine. “Killing Spree” by Brigid Collins: Spriegan has a dark past. She and her girlfriend came to the small town to start again. But now her girlfriend is dead and her past have come back to haunt her. “The Hot Eagle Roadhouse” by Chuck Heintzelman: Jalinda Washington is a tall and strong black woman. She’s always felt out of place. But then she comes to the Roadhouse. “Death at the Pines” by Annie Reed: The hostess of the Tavern in the Pines is found murdered. The tavern is part of a larger “divorce ranch” where women, and some men, stay so that they can get a quicker divorce. Deputy Cavanaugh is on the case. Many of these stories are low-key character studies rather than high adventure. I liked most of them. “The Gods Are Out Inn”, “The Hot Eagle Roadhouse”, “Freedom Unbound”, and the first story are my favorites. 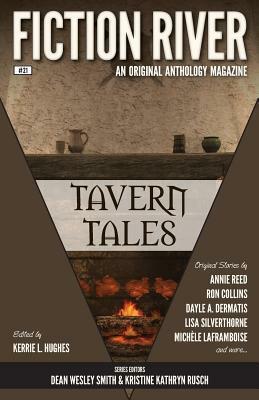 However, in some of the stories, like the last one and “Hero #8” the tavern is only tangentially related to the story, could have been any place. “The Kids Keep Coming” is quite a moving piece but I suspect more so to USAians. A nice collection of stories. Collects Fantastic Four issues 347–350, 352-354. The first three issues are drawn (gorgeously) by Adams and inked by various people. The FF have returned to their own world and time, and are relaxing. Well, except for Sharon who is depressed because she’s now again the Thing rather than a woman. Ben tries to comfort her but in vain. A mysterious woman crashes her space ship to Earth and heads for the FF so that she can find what she came to Earth to find. She manages to subdue the FF one by one. However, she’s not successful in finding her prize. Meanwhile, a skrull space ship has landed, looking for the woman. Instead, they find Monster Island. They managed to use their tech on the monsters and send them to various cities to attack humans. The mystery woman keeps her disguise as Susan Richards and sends a message to four humans: Wolverine, gray Hulk, Ghost-Rider, and Spider-Man. To them, the woman claims that the FF are dead and the killers can be found with a hand scanner. The four head off to the Monster Island. This was a fun little story with monsters, the Mole Man, and skrulls. Then Dr. Doom attacks… Latveria. He defeats the Doombots and Kristoff who has apparently been posing as Dr. Doom ever since the real doc left. He examines the FF and realizes that he can use Sharon’s need to become human. So, he meets with her in New York and makes the offer to turn her back to a human. Sharon agrees and leaves with the doc to Latveria. Of course, Dr. Doom pries secrets from Sharon’s mind. Meanwhile, Ben uses Reed’s machines to become the Thing again, so that Sharon wouldn’t be so lonely. Awwww… that’s very sweet of him. Dr. Doom sends an ultimatum to the FF who hurry to Latveria to rescue Sharon. While the rest of the FF fall victim to Dr. Doom’s traps, Reed and the doc battle each other using devices which allows them to jump around in time. Well, at least inside 30 minutes. The Time Variance Authority gets involved. Their job is to monitor the multiverse and try to stop people from time traveling too much. However, they don’t really seem very effective. They arrest the FF and try to put them on trial for time traveling. Things don’t go well for TVA. This was a bit wackier story than the previous ones, thanks to the TVA. In the ends, Simonson largely returns the FF to the status quo with Sharon back to a human and Ben again the Thing. The TVA is a wacky concept, especially considering how truly powerless they are to actually prevent time travel. They seem more like a bureaucracy for bureaucracy’s sake than anything useful. Which could well be the point. 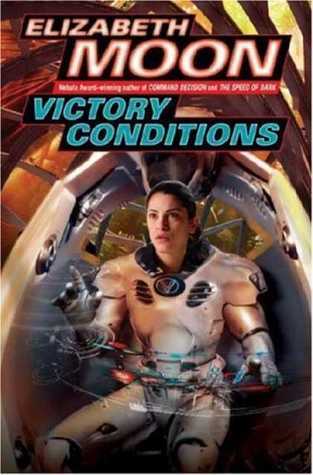 The fifth and final book in the Vatta’s War science fiction series. Ky has gathered allies and is getting ready to confront the ruthless pirate captain who is behind her family’s fall. But she’s starting to understand just how large the enemy fleet is and that the pirates have undercover agents in many places. They’ve managed to get some enemy communications but they can’t interpret them. The pirate captain in threatening entire planets. Meanwhile on Cascadia, the young engineering genius Toby has fallen hard for a local girl, but her parents aren’t happy about Toby being an outsider and belonging to an impoverished family. Stella remembers her days of being desperately in love while being very young and is trying to help. However, soon she notices things that might point towards the girl’s family being involved with the pirates. Stella is also running Vatta Enterprises. Rafe, Rafael Dunbarger, is now the CEO of ISC (the firm that has so far had monopoly on interstellar communications). The firm is also the biggest one in the system, in fact, so huge that the government let ISC almost run the planet. But his troubles are far from over. His father is still fixated on Vatta being the bad guys and the firm is riddled with spies, embezzlers, and traitors. Also, both people inside the firm and outside it are blaming Rafe for the company’s current compromised position and are trying to replace him. Rafe is trying to deal with these people. Also, this is the first time he’s really expected to be a respectable man. He needs to act quite differently than what he’s used to during his years as undercover agent. For the most part, this was a good read and it’s a good conclusion to the series. I particularly enjoyed Rafe’s younger sister, Penny, and her road to recovery from the kidnapping and the murder of her family which happened in the previous book, Command Decision. Aunt Grace is her own formidable self, but she isn’t seen much. Ky needs to make some very difficult choices. Unfortunately, there were also a couple of things I didn’t really care for. We got a few new POV characters and I didn’t really care for most of them. The young romance between Toby and his girlfriend was one of them, especially since it was so obvious that her family were up to no good. Also, another new POV I didn’t care at all and felt that it was mostly a waste of time. Ky’s and Rafe’s sudden romance also rubbed me the wrong way. When they were together, a couple of books since, I didn’t get any great romantic feelings from them, almost the contrary. But longer they were apart, the more warmly they thought about each other. Also, other people accuse them of being attracted to each other and that influencing their choices which I was really tired of. It seemed like the more vehemently Ky and Rafe denied it, the more their feelings grew to each other. They also did have the perfect means to be in touch secretly but didn’t use it. That especially seemed very strange to me: if they’re in love, surely they would have used that means. But still, I was mostly happy with the way this series ended. 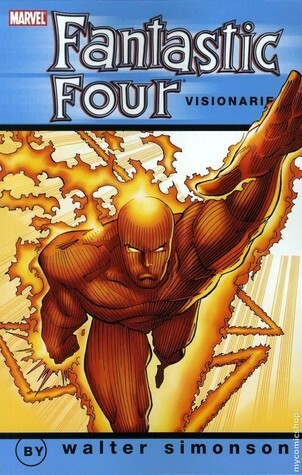 Collects Fantastic Four issues 342–346. The first issue is apparently a filler where Ben, Johnny, and Sharon have an adventure of their own. It wasn’t published in Finland. Simonson didn’t work on it. The rest of the collection is solid Simonson. The FF find out that they didn’t actually return to their own world from the time bubble. Instead, they’re in an alternate world where Dan Quayle is the President of US and Joseph Stalin is still the Premier of USSR. Stalin is 111 years old and is wearing a power armor which is keeping him alive. The world is still in darkest Cold War. When Quayle decides to launch a pre-emptive nuclear strike against the Soviet Union, Reed and the rest of the FF must work hard to prevent it. This world’s Reed has started to build EMP-weapons and our Reed manages to finish them just in time to blow the missiles from the sky. Then the FF head to Kremlin in the hopes of finding a way to stop World War III. After they battle Stalin, who is wearing his impressive power armor, they find out rather strange things. Next, Reed is able to fix the time sled and they again try to return to their own time. But they don’t succeed yet. The FF find themselves in jungle with a group of US soldiers. Also, the FF don’t have their powers, so the soldiers are rather skeptical about their identities. Even Sharon returns to her human form. But the jungle full of hostile dinosaurs they must work together in order to survive. However, the jungle seems to be a just a fragment in time, an island which is quickly falling apart from around them. I’m a fan of alternate universes and this jaunt was a lot of fun! I loved the surprise at the Kremlin; I didn’t remember that at all from my first read. I also love dinosaurs so it was fun to see them. Also, Ben brought his Thing suit with him so he was the only who how had powers. That was a fun reversal. I’m not so crazy about Sharon’s subplot. She’s starting to loath her Thing form and wants to be a woman for Ben. Ben tries to reassure her but in vain. Also, Johnny is still thinking of Nebula and wondering how he can face Alicia. Top Ten Tuesday was created by The Broke and the Bookish and is now hosted by That Artsy Reader Girl. Today, the topic is Top 10 Books By My Favorite Authors That I Still Haven’t Read. So many books, so little time! And in my case, such a huge TBR that I tend to neglect new books, even when they’re from my favorite authors. There are a lot of Cherryh books I haven’t read, yet. I actually have the first two books in the Foreigner series but knowing that it’s such a huge series (but no doubt very enjoyable), 19 books and still ongoing, I haven’t yet started it. I love his Vlad Taltos series and the two other series in the same world but I haven’t yet started this series. The fourth book in the Secret Library series is, no doubt, just as enjoyable as the first three but I don’t own it yet. I’ve only read the first book in this series and fully intend to continue with it. I’m a longtime Elfquest comics fan but now that the series is coming/has come to an ending, I still haven’t read the two final volumes for the simple reason that I’m not ready for it to be over. Of course I can, and will, reread the series but the final two volumes are still special. I loved Novik’s Temeraire series about dragons in the Napoleonic wars, but when I heard that her new book was YA, I didn’t get it. It has some pretty good reviews, though. I have a couple of Tarr’s ebooks but still haven’t read them. Her Aztec fantasy trilogy Obsidian and Blood was very entertaining, but I haven’t yet picked up the rest of her books, even though they look very interesting. While her Amelia Peabody series is my favorite, I like her other books as well. I still have Trojan Gold in my TBR shelves. Rusch is a very prolific writer and she has a lot of books which I haven’t read yet. I’ve mostly read her science fiction and mystery books. While I’ve read a few stand-alone fantasy from her, I haven’t read her fantasy series. 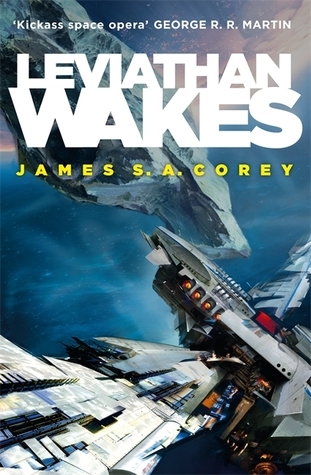 The first book in the SF series Expanse. I’ve watched the two seasons of Expanse on Netflix, so I was quite familiar with the world and the story when I started to read the book. However, I was somewhat surprised to find out that the book had only Holden and Miller’s point-of-views and reaches about the middle of the second season. Also, I couldn’t help but to think of the actors and whole visual image of the show. The book didn’t have much descriptions of items, which was also a surprise. My two favorite gadgets from the show are the hand terminals which can be pulled to a smaller or larger size and the zero-g boots which turn off or on when you click them together. I don’t think they were described at all in the book. James Holden is the second-in-command of the ice miner ship Canterbury. He’s from Earth and used to be in the military but was drummed out and is now on an old space ship. When the Canterbury receives a distress signal from a small ship, the captain orders Holden and four others to investigate. They take a small ship and go out. While they’re investigating, a strange ship destroys Canterbury and everyone on it. Shocked and horrified, Holden sends out the video of the destruction and indicates that Mars is responsible. Holden is an idealist and thinks that people will do the right thing, when they see the video. Unfortunately, the relations between Earth and Mars, between Mars and the rest of the inhabited solar system called the Belt, and between Earth and the Belt are very strained and some people use the video as a reason, or excuse, to stir up war. But Holden and his small crew are stranded and don’t know anything about it. When they call of the company for advice, they’re told to surrender to the Martians. Reluctantly, they do so, but the huge warship is soon under attack. Josephus Miller is a cop at Ceres station, or rather he works for the security firm which is contracted to keep order on the station. The station has several criminal organizations and it’s his job to know they don’t step over the line. Sometimes he’s given a side mission, like now. The Mao family want their adult daughter Julie back. Essentially, Miller must kidnap her to do that. Reluctantly, Miller starts to look for her but before he can find out much, the station is rocked by the news of Canterbury’s destruction and that Mars could be behind it. When the dust clears a little, Miller returns to Juliet’s case and comes quickly to admire the willful and independent girl. She’s apparently mixed up in very dangerous company and Miller is also drawn in. Miller and Holden are quite different POV characters. Holden is an idealist who wants the people to know everything possible so that they can make the right choices. Miller has been in the security business for almost 20 years and has seen the worst of humanity. He’s a cynic, always expecting the worst and rarely disappointed. The world, or solar system, seems dystopic to me: most people (at least the ones we see here) are poor and struggling to survive on Ceres and on Eros station. Then we have the very rich and powerful who have their own agendas and toys. The tensions between people for the Belt, Earth, and Mars seem pretty clear racism to me; no rational cause, just fearing and hating people who are different or coming from a different place. Belters are described as taller and slenderer than humans from the gravity well (Earth and Mars), but in this case I think watching the show did a bit of a disservice to me because of course the actors couldn’t be like that. Compared to the show, the book has very few female characters and suffers a bit from the “only one girl in a team” syndrome. Otherwise, I quite enjoyed the book. The tv-show is very faithful to it so many of the scenes were familiar. Of course, there are some differences, as well. 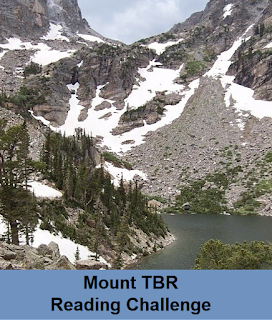 The book combines noir mystery, thriller, and horror to the main science fiction genre. It moved along at a nice pace and when it needed to jump ahead some weeks, it was done well. It’s different from many other SF series because it doesn’t have aliens and humanity is confined to our solar system. It’s also handles space travel more realistically, with radiation and the stresses in the body when the ship must accelerate. The book can be read as a stand-alone but I’m definitely continuing with the series and impatiently waiting for the third season to arrive here. 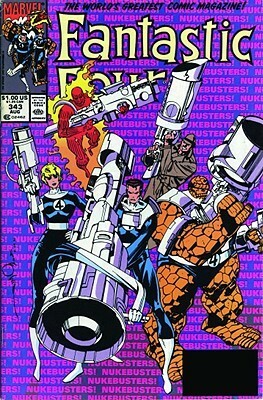 Collects Fantastic Four issues 334–341 from 1989. 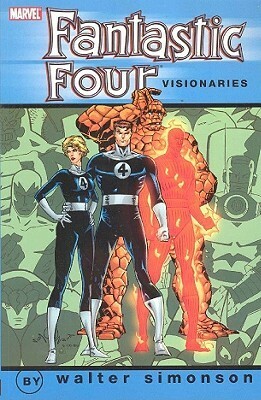 I wanted to read some older comics and rather than rereading Byrne again, I ended up reading Simonson’s run on the FF. Most of Simonson’s run has been translated into Finnish but not the first three issues in this collection. The collection starts with a three-issue Act of Vengeance tie-in. Very underwhelming supervillains try to take out the FF with mostly comical results. However, when the FF is invited to testify to four Congressmen about the superhero registration act, the singular attacks turn from amusing to annoying. In the third issue, the Act of Vengeance are wrapped up for the FF. Then Simonson really starts going! A time bubble from the future is threatening the present. Reed discovers that and the FF (along with human Ben and female Thing Sharon) together with Iron Man and Thor dive into the time stream hoping to correct things. This is a continuation from Simonson’s Avengers run. Unfortunately, it also means that Thor and Iron Man are more prominent characters than Sue and Johnny. Inside the time bubble is out of control Galactus, eating the whole universe. Now, the team must try to find some way to stop it. But evil blue woman Nebula has taken over Johnny’s mind and she has her own agenda. Guest-starring Death’s Head and Gladiator from the Imperial Guard. While we get a brief recap of Avengers 296-297 and 300, I think it would have been far more reader friendly to simply include those issues in the collection, especially since I don’t think they’ve been reprinted anywhere. Of course, the whole Dr. Druid/Nebula thing started earlier, and I think those issues are reprinted in Avengers: Heavy Metal. I was subscribing to the Avengers at the time, so I have vague memories about the whole thing but readers who haven’t read them could well be quite confused, especially since the cross-time Kangs are involved (but only briefly). But it doesn’t really matter. This is FF at their most cosmic, traveling through time with the time sled and to different places with Thor’s hammer. They encounter very dangerous foes during the desperate race to save the whole universe. Definitely recommended, if you like this sort of thing.